Hercules, starring Dwayne Johnson, which is due out in theaters on July 25th, 2014, finally got a second movie trailer from Paramount released. In this trailer, we are given the outline of the story, or as you can see, a near origins film of the character. 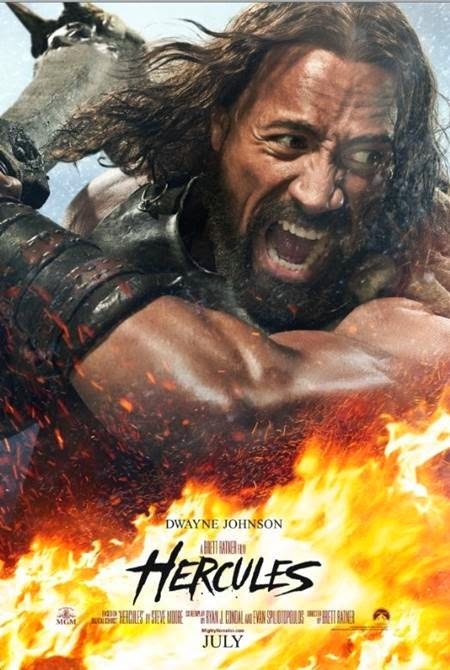 And yes, there was another Hercules movie a few months back, but the marketing seemed bland and non-descript, looking like it was banking on the looks of that star along with the name of the myth as a movie title. But it didn't fare too well. This version, with Johnson's draw, and what looks like better marketing, could be fun. Johnson brings all his shiny teeth and giant muscles to the screen to play the mythical muscle man, so it could be an awesome popcorn fun movie to hit up in theaters.